This ‘old dog’ is always full of new tricks! “He came, he saw, he barked.” – Frank Welker on the voice actor’s legacy. When Gargoyles fans think about dynamic voice actors, Jeff Bennett may be the first that comes to mind, who in several episodes had a habit of speaking to himself. Or perhaps fans think Kathy Soucie, who supplied a large number of the female misc vocals for the show. Being a ‘man of a thousand voices’, Jim Cummings, while not doing a huge range of characters on Gargoyles, is also a famous name in the voice acting business. But perhaps one of the most successful, influential, and prominent voice actors in the show, was one who didn’t speak a single sentence throughout the entire series. 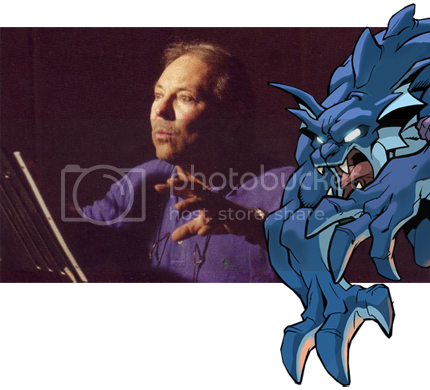 Frank Welker, the ‘voice’ of Bronx. For years Frank has been in the animation business, adding voices to characters both human and animal. (Or even the occasional transforming robot!). It’s hard not to encounter an animated movie or TV series nowadays without some sort of input by Frank somewhere. According to THE-NUMBERS.com, Frank is the #1 actor for total box office revenue generated through his movies. Not average per movie, as that itself is less, but he’s done more movies than Samuel L. Jackson or Tom Hanks and made more money per movie than Robert De Niro, Gene Hackman or Nicolas Cage! Frank admits in interviews to being somewhat ‘type-cast’ in animal roles, just because there are simply not a lot of voice-actors that specialize in those sorts of sounds. He does manage several speaking parts here and there. (One which you might remember clearly is the voice of Freddie Jones from the Scooby Gang. (He also has recently been voicing Scooby Doo as well since Scott Innes retired). This past week, Transformers 2 has blazened itself across the big screen and in box office charts. While Frank Welker was not able to reprise his role of Megatron for the new Transformers movies (He did send tapes, but Micheal Bay had another vision in mind for the character), he is BACK in Transformers: Rise of the Fallen reprising his roles of Soundwave and Ravage. (Personally, my favorite characters/best designs of the entire movie). I think hearing his voice sent the silly little 80s child in me bouncing in my seat! 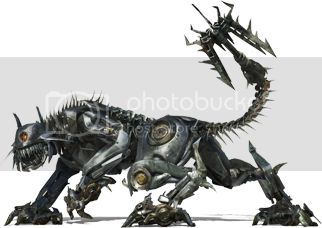 Here are some other interviews with Frank concerning the Transformers universe, check out the following links. When looking up some information on Frank and what he’s been doing lately, I found this great clip of him taking Manny the Uncanny to the LA zoo showing them how he ‘researches’ animal voices for special projects.